It’s a bit on the trendy side, sure. Coconuts are everywhere, man! Paleo dieters and vegans alike are buying oodles of the stuff, in the form of flakes, oil, milk and water to make their meals. People are taking shots of oil as a nutritional supplement! And everyone is in love with coconut oil as a skin care product. I used it for nearly a year as a means of helping my seborrheic dermatitis. I posted about it here. A few helpful commenters pointed out that coconut oil is actually . . . GASP . . . comedogenic (aka it clogs your pores). But people on forums and blogs are raving about coconut oil healing seborrheic dermatitis or curing acne. Hmmm . . . I just had to go on a search to try to get the truth about coconut oil! Coconut oil is antimicrobial, anti fungal, antioxidant and antibacterial – which is all GREAT for treating seborrheic dermatitis (whether on your face or scalp). It’s also a way to moisturize without the chemicals, fragrances and other irritants that are part and parcel of store-bought creams. Indeed, coconut oil is comedeogenic aka it clogs your pores! And clogged pores are actually a big element of seborrheic dermatitis. Though I did feel that the worst of my seborrheic dermatitis cleared up while using coconut oil, I did find that the pores on my nose were even more clogged than usual. Also, remember that the while SB seems like dry skin, it is really caused by oil/yeast, so treat your skin more like oily or combination skin than dry skin. So, maybe we don’t need to go crazy with the oily moisturizer? It’s really all about balance. I think some people find that using coconut oil helps seborrheic dermatitis because of it’s anti fungal/antibacterial properties. And it may have clogged their pores a bit, but it possibly clogged their pores with coconut oil, replacing the yeast, fungus and skin oil that causes the seborrheic dermatitis. Does that make sense? A lot of the raving online is from people who used it for a short time. For example, one woman who had struggled with seborrheic dermatitis on her scalp (dandruff) for her entire life cured it a few years ago by doing a three week course of leaving coconut oil on her scalp for one hour, three times a week. So perhaps there are some benefits that out way the negatives? I discovered that many people used coconut oil as a FACE WASH and it helped their acne or seborrheic dermatitis! You know how oil and water just do NOT get along? So the idea is that washing your face with water won’t really help remove the oil from your skin. Many experts point out that coconut oil should be used only as a facial cleanser and then rinsed off well. This makes a lot of sense! I’ve been trying this by warming up the coconut oil in my (clean) hands and slathering on my face before taking to my pores with the Clarisonic. I use coconut oil in the morning and in the evenings I use it to remove my makeup quickly before washing with Simple Refreshing Gel Cleanser. Everyone is different. There isn’t one magic cure for seborrheic dermatitis, and it might just be something you need to try for yourself. 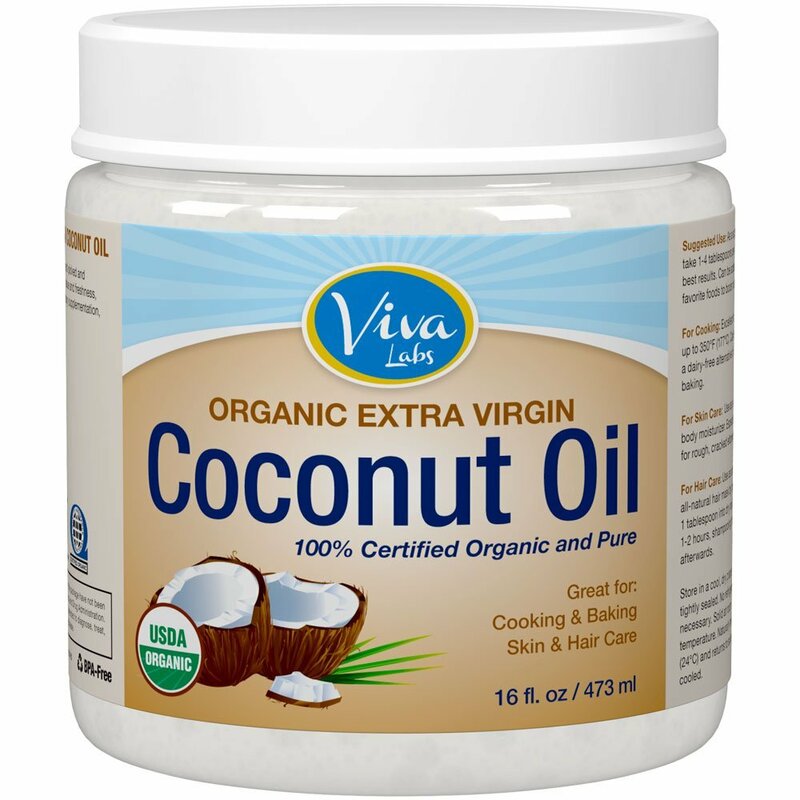 I have totally changed the way I am utilizing coconut oil. That’s why I call this The Seborrheic Dermatitis Blog. I’m chronicling my journey to heal my skin and I am not the authority in this manner. But at least I can share my story and the loads of information I collect and we can help each other out with tips and tricks! Have you tried coconut oil on your seborrheic dermatitis? Did it help or hurt? Has adding it to your diet helped your skin condition? Yes, I can see the pros and cons of using any kind of oil. What do you find works best for you? How did I miss this comment?! I’m so sorry! Please update me if you read this. The good news is there are lots of “manly” skincare lines now. I did some research and I discovered Nivea for Men Gel Moisturizer for sensitive skin. I love the idea of a gel, so it will kind of protect his skin and be totally not greasy. It happens to be super affordable so worth a shot. Maybe I’ll do a post just for the guys soon!